A.M. Linton, Jr. (BSPH ’48) came from a long line of pharmacists. 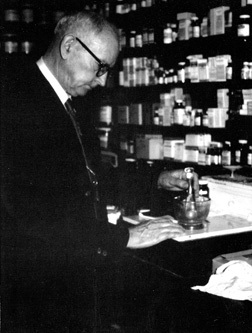 His wife, Sara Linton (BSPH ’48) of Tupelo, established the Linton Family Pharmacy Scholarship Endowment to honor the family tradition. A named endowment fund is a gift to the University of Mississippi Foundation where the principal remains intact in perpetuity, and the annual earnings are used to support academic excellence, faculty, scholarships, and other campus initiatives. Named endowment funds require a minimum of $25,000 which can be paid in total or pledged and fulfilled over a period of up to five years. For more information on the benefits you’d receive with your gift, read more here. The School of Pharmacy has more than 50 endowed funds benefiting students and faculty. See below for a complete listing of established endowments. For more information on how you can support your School of Pharmacy with an endowed fund, please contact Port Kaigler, School of Pharmacy Director of Development, at port@olemiss.edu or (662) 915-5944.